The Intercultural Institute of Comparative Music Studies is organizing a training course lasting two days dedicated to teachers of primary and secondary school first and second grade. 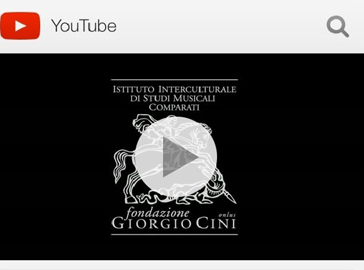 The course, curated by Serena Facci and Gabriella Santini, aims to analyze the music videos in order to guide students to a conscious use of this medium so widespread, develop educational pathways for intercultural and interdisciplinary, encourage creative activities that use the multimedia language of the video. The critical reading of this kind of multimedia productions helps to understand the communicative function of the different languages ​​that contribute to their achievement. The skills acquired can also be invested in the school, to guide students in video production. The participating teachers will be provided with teaching aids in the form of written texts and video material. The routes chosen will aim to involve teachers from different disciplines, as well as music, even letters, art and drawing, foreign language, technology. In particular, the training course will be divided into two parts. In the first part, the teachers will analyze some music videos proposed by teachers of the course, using a method based on the functions of the different languages. It will work with Italian and foreign music videos featuring music content and different geographical origin environmental. In the second part, the activity of the educational workshop will be dedicated specifically to suggestions and experiments for the production of music videos in class, they use the great potential of the Internet to connect the immense variety of spaces, sounds, images, language and suggestions . The course is recognized by the Regional School for the Veneto. The course has a limited number, the participants are allowed to availability.